Poole Pottery’s rich history in the town dates back to 1873 and it has long been recognised as a centre of excellence for the most skilled craftsmen and artists. You can discover the largest collection of Poole Pottery in the World at the Home of Poole Pottery on Poole Quay. Find out how Poole Pottery is made. Read about it’s history and heritage. Visit the pottery studio and see the Potters, Artists and Designers at work. 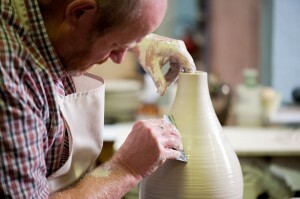 Alan White, the Master Potter, can be seen at his wheel throwing pots and creating unique, but classic shapes. Alan has been associated with Poole for over 45 years. See Sean Flint, the trainee potter, working alongside Alan and developing his own style, creating the Poole Pottery shapes of the future. Nikki Massarella, Jane Brewer and Lorna Whitmarsh are three of Poole’s designers and artists. 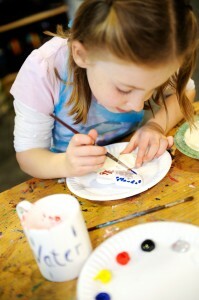 You can see them at work decorating pieces of Poole Pottery, as well as designing new collections. New developments for 2015 include a collection of outstanding animal and bird sculptures. In a completely new concept for the pottery these are hand thrown on the wheel by Alan White and hand decorated by Jane Brewer. Demand for these unique pieces has been high; each sculpture is individually crafted and stunningly life-like. The ‘Lest We Forget’ collection is a small range of unique pieces featuring remembrance poppies. These beautiful pieces are all designed and hand-painted by Nikki Massarella. The Studio range is only available on Poole Quay - all highly collectible works signed by the artist. Each piece comes with a certificate of authenticity. 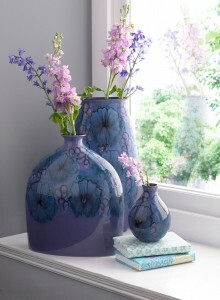 You will find a full range of best and second quality Poole Pottery giftware and lighting. The new ‘Jasmine’ range designed by Lorna Whitmarsh introduces a completely new lilac colour palette to the range of giftware. 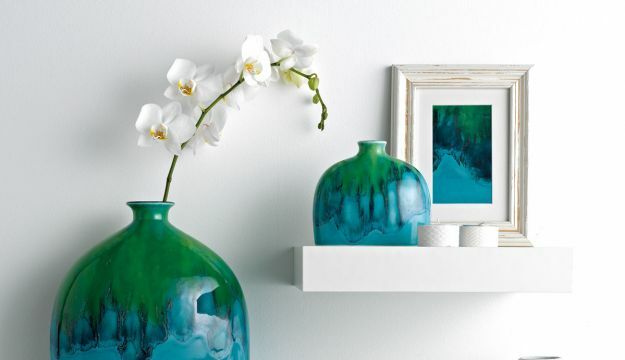 The ‘Tallulah’ range takes its inspiration from the ocean waves and has been created by Sean Flint. Browse through the selection of discontinued tableware and track down a missing piece for your collection. Find highly desirable vintage pieces for sale in the Collector’s Corner. With two floors of Outlet shopping and departments including Cookshop, China & Glass, the Gift Emporium, Fashions, Shoes, Accessories and luggage and great brands like Denby, Dartington Crystal, Yankee Candle, Buckingham, Tigi and Skyflite. Free entry. Wheelchair accessible. Coach driver and group co-ordinator vouchers. Opening hours are Monday to Saturday 9am to 5.30pm and Sunday 10.30am to 4.30pm.